WHO IS SCOTT VAN ZEN? Professional guitarist, song writer, composer, and guitar teacher. Scott Van Zen has spent the past 40 years learning, playing, and teaching guitar. He has become an acclaimed guitarist, songwriter, composer, and producer. He is a pro guitarist playing with performers like Brain Howe from Bad Company. He is now taking his knowledge and experience. To teach others on how to become a professional guitar player. In these online video lessons you will receive the one on one attention you need to achieve your dreams. By helping you take your guitar playing from an amateur to a pro. SONGS IN FILM, TV, AND ADVERTISING. 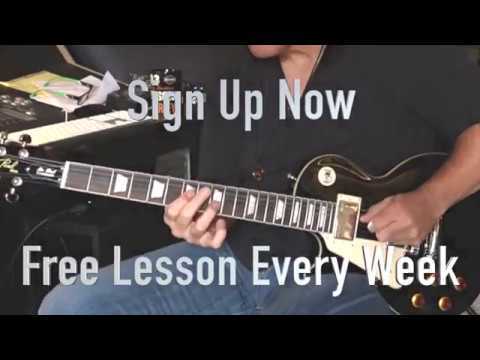 Would you like a free guitar lesson every week from a professional guitarist? Then sign up for the weekly Lick Talk. Every Thursday you will receive a free Lick Talk lesson right in your inbox! Would you like to have your own private lessons with a professional guitar player? "Van Zen is an accomplished guitarist and musician. One would do well to sit at his feet, and learn." "Scott Van Zen is that rare musician who plays a song the first time, like he’s been playing it all his life. Every part he plays is exactly what’s needed. Whether it’s a blazing lead, a deep-pocketed rhythm part or something you would have never thought of in a thousand years. I can’t wait until the next time we work together again." "Van Zen has incredible feel in his playing." "Scott is not only one of the greatest guitarists I have ever known, but the single most influential guitar teacher I ever had. Scott showed me how to approach the guitar with a whole different mindset, encouraging me to embrace critical technical fundamentals while bringing out my own personal style. The music my band made and our success on Atlantic Records are a direct reflection of Scott's influence." "When Scott Van Zen fires up up a groove, there is no stopping him. And his choice of notes in the blistering melodic solos he plays makes him a cut above the rest. In my book....He's Brilliant." "Scott is one of the most technically versatile players today. A feel player with the right note selection every time." "Scott Van Zen is quite possibly the best blues/rock guitarist I have ever had the pleasure of seeing and working with. This guy has it all. Chops,tone,feel and attitude that grabs you and demands you listen. Not to mention his great production skills. Come on and getcha’ some!" "As an accomplished guitar player myself, and having worked with hundreds of some of the world’s greatest guitarists, Scott Van Zen is one of my (if not my favorite) guitarist. I can’t say enough good things about his playing, his feel, his soul, his choice of notes and just all around tasty playing!" "I have had the pleasure of working with Scott the last couple years on music for my company. He is amazingly talented as a guitar player, composer and producer… and those are just three of the many reasons you should have him as your guitar teacher and mentor." "Scott is a guitar man of the highest order a dedicated practitioner who seeks more than the flash, but the spirit and essence of what it means to be a guitar player and oh what a nice fellow as well." "Scott Van Zen is one of the most inventive,unique and imaginative guitar players on the planet. His sound palette is an ever increasing vocabulary of sonic expansions based on his heros from the past while adding his own heart, soul & spirit that break the boundaries of what guitar playing is into what it can be." "Scott is amazing. When I get stuck or run out of ideas, I watch one of his videos a couple of times and get back on track. I can only imagine where my playing would be if I’d had access to his knowledge over the years. What a badass!" Connect with me on social media where I post guitar tips, videos of me playing guitar, answer questions, announce new promos, and fun contests. 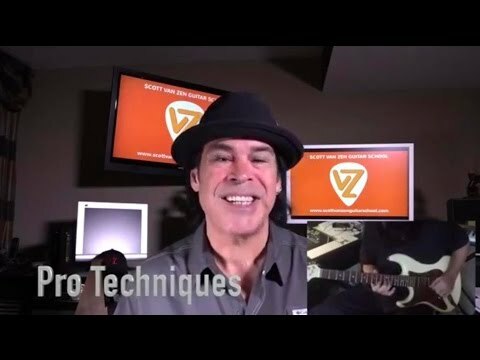 I release video lessons on how to play guitar like famous guitarists, live performances I am playing in, highlight my students that are doing incredibly well, and much more! Make sure to connect with me on these platforms and I look forward to rocking out with you!